DAVID LE/Staff photo. 6/3/15. 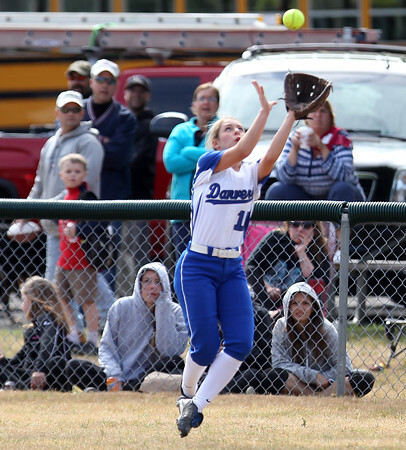 Danvers left fielder Meagan Llewellyn makes a leaping catch in front of an audience watching closely from just beyond the fence.